Croatia has very good wines as it is located exactly on 45o of northern latitude called the “golden latitude.” Specific geography, good sun and traditional craftsmanship make quality Croatian wines. 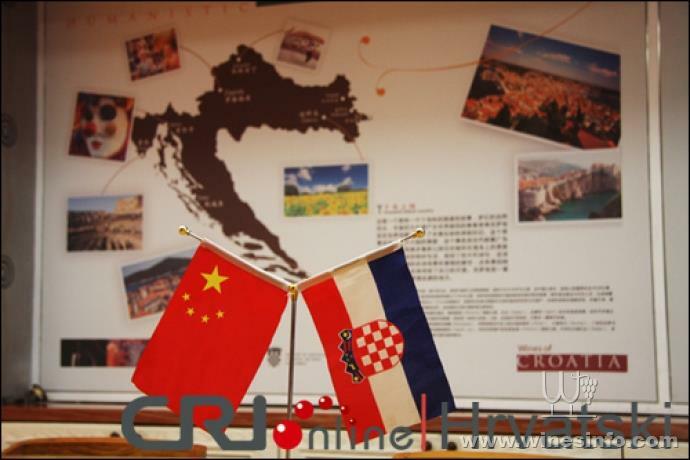 However, the Chinese market is mostly populated with French and Italian wines, while Croatian ones are not known regardless of their quality, reported the Croatian channel of China Radio International on October 19, 2016. Hangzhou is the main office of Badel. A specialised space was opened here for the presentation of wine. Croatian wines, Croatian hostess and other Croatian elements enable guests to experience the Croatian wine culture. Deputy President of the Badel & Tadee corporation, Ms. Chen Qi feels her company doesn’t work only with Croatian wines. She would like to use the frame to bring Croatian culture to China. Mr. Zhang Zhuben is also President of the Croatian Federation of Chinese. He travels often to Croatia, knows it well and likes it very much. According to his words, besides presenting Croatian wines and wine culture, Badel also has the role of a platform for cooperation in other areas between Croatia and China. Badel has invested its efforts not only in the promotion of intercultural meetings, but also in the charity sector. Ms. Chen Qi is a member of Lions Club International, which aids blind and visually impaired people.